Prices for each model include VAT and UK Delivery. MusicTech's new model for 2013 - Dual Link - Available from 15th April. 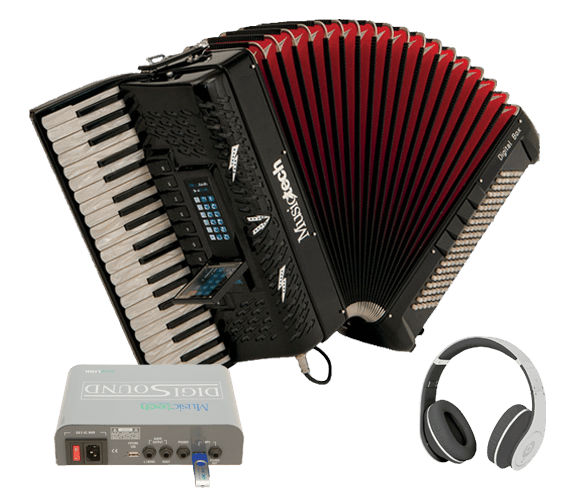 The MusicTech DUAL LINK DIGITAL BOX is a Reedless Digital Accordion with up to 150 Built-In Digital Sounds, Touch Screen and Bellows Dynamic Control and full MIDI implementation of the new Dual Link MIDI Interface. 100 Pre-Programmed Performances, MIDI file, MP3 reader and USB Out for connection to a Personal Computer and extraordinary possibility to combine the sounds, fully programmable. 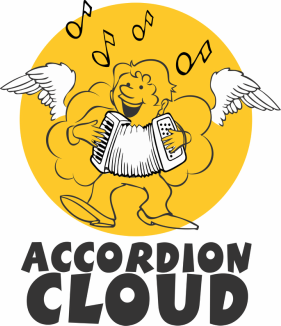 One Bank with up to 150 Sounds comprising 40 accordions, string, brass and windwind instruments, organs, etc. Each Performance can combine two sounds for each section (Right Hand, Chords and Bass) and Two MIDI sounds (External) for each section. Furthermore, in the Left Hand section, it is also possible combine rhythmic sounds either for the bass and the chord. By default, MusicTech has programmed the 100 Pre-Set Performances with sounds meant to satisfy the needs of most kinds of music, thereby making the Digital Box an immediate Plug and Play instrument. All the Performances are completely re-programmable by the user. The Dual Link is equipped with two USB Ports which enable MIDI files and MP3 backing tracks to be loaded. The MIDI files are used to play the internal General MIDI Bank of Sounds. Also incorporated is a USB Device (exit) that allows the Dual Link to connect directly to a Personal Computer, that will be automatically recognized as a MIDI input for use with a sequencer or music composer applications. 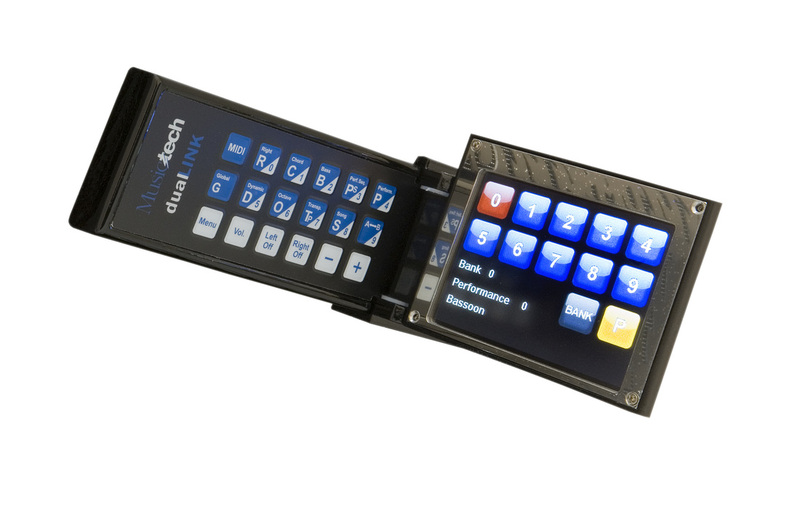 The Touch Screen, in combination with the physical keypad, allows us to keep an eye on the state of the instrument, but also enables you to easily change Sounds and/or Performances with a single touch. The Right Hand and Left Hand couplers used for selection of the Programmed Performances are fully programmable. Furthermore, the Right Hand couplers can also be programmed to have different combinations of sounds for 'Real Time' substitution in the performance currently in use. The Dual Link is equipped with Volume Pedal and 4 Foot-Switch pedals, all Fully-Programmable for control of the internal functions of the instrument and /or MIDI functions. 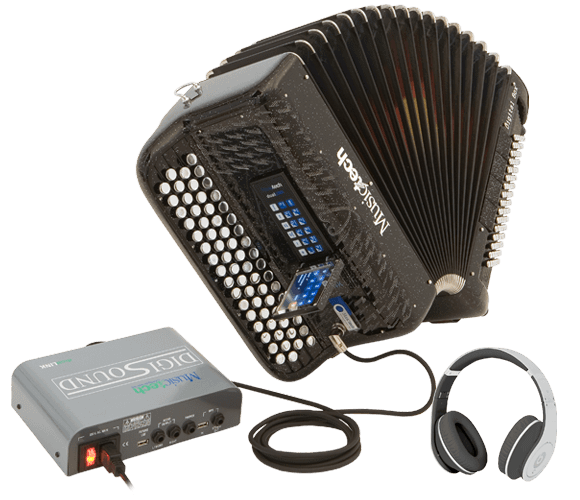 The DUAL LINK DIGITAL BOX is a 'Real' accordion in every sense, except that it has no reeds because it played using the digitally sampled sounds of the fantastic new MusicTech Dual Link MIDI unit built into this revolutionary new instrument. 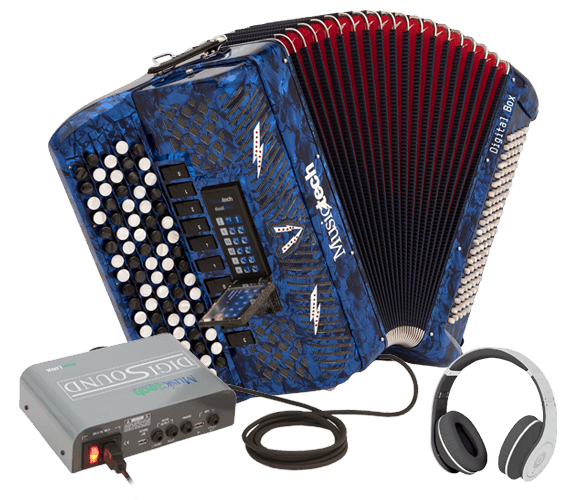 It is built using the traditional methods and materials employed in acoustic accordion construction, giving you the familiar feel of such an accordion, allowing you exploit and enjoy this modern digital instrument in the same way as a classical accordion. The instrument is entirely 'Made In Italy' in Castelfidardo, the Accordion Centre of The World.